Home » CONVENTIONS » Time Warp, 10 years back to the San Diego Comic Con 2006..
Time Warp, 10 years back to the San Diego Comic Con 2006.. The great San Diego Comic Con is coming back again, for its 47th year very soon. Attendees will find the usual large huge amount of creative talent, merchants, cosplayers, publishers, and those throughout every crack of the pop-entertainment, science fiction, fantasy, independent creative industries. Such will cover but not limited to the movies, TV shows, games (digital and tabletop), books, and comics (especially and foremost). 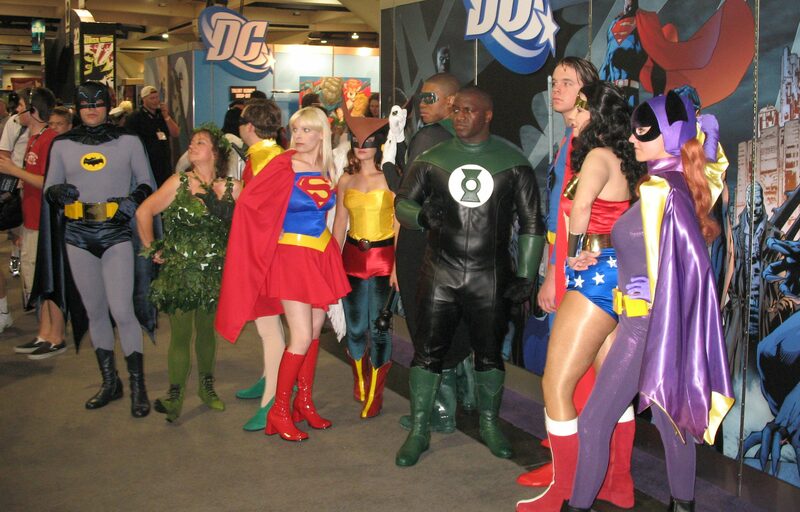 But here below is a flashback in pictures to a Comic Con past, to the year 2006. The show still sold out, but not as fast. The celebrity presence was settling in, though not nearly as fast as the years later. For those looking to mingle, the elbow room was there. Lines were still rough, but to the point where lotteries where necessary for tickets. I saved some pics, and now putting them out for all Strangers to see below. Click on each for some identification and info. That’s all for now. If you have pics of that year to add, or perhaps know more info on any pic above, feel free to leave a comment. All pictures taken by me (Orion T), and published exclusively for Stranger Worlds 2006. For permissions on use or questions, feel free to contact me.